Dogs have been showing up as crime-solving sidekicks since before Columbo and his faithful basset hound “Dog.” An August 9, 2007 blog written for The Cozy Mystery List includes more than 35 authors who write series with canines as significant secondary characters. In my own Grayce Walters series, the heroine is an animal acupuncturist with intuitive abilities that allow her to “talk” to dogs. I was inspired to include a four-legged hero in the series by Gus and Talley, two Golden Labs who were my constant companions for many years. Although cats make an occasional appearance, dogs join our heroines and heroes on the page much more frequently. Let’s take a look at what makes dogs popular characters in romantic suspense. Dogs are known as man’s best friend, and according to Cesar Milan, it isn’t because dogs depend on people for food, water and shelter. Dogs are pack animals, which is why dogs are seen attaching themselves to people and even other animals. This pack instinct means dogs are affectionate and have a need to bond with their “pack mates.” These characteristics make dogs good companions and confidantes for our fictional characters. Virtually everyone loves dogs. Stoic soldiers cry when an Army dog is killed in action. Little kids want to pet that frisky, tail-wagging puppy. Old ladies sit for hours with their lap dogs. Young women are drawn to men walking dogs in the park (it reflects men’s nurturing side). Dogs bring out the “aww” factor in all of us. Writers use dogs to tap into readers’ fond memories of their own special Fido or Duke or Spot. All animals have the potential to play a significant role in your story, but dogs are particularly well qualified to find a clue, rescue a damsel in distress or take down the bad guy. Inherent qualities such as intelligence, strength, stamina and scent detection make it believable and logical that your canine characters can help solve the crime. Ask people to describe the nature of cats and they are likely to use words like “independent,” “finicky” or “arrogant.” They don’t distinguish a huge difference in breeds of cats like we do with dogs. The wide range of traits and characteristics associated with dog breeds make is vastly easier to “cast” a canine as a character, depending on the tone, voice and sub-genre of the book. If your heroine is a snobby socialite, pair her with a Yorkshire Terrier. If your hero works search-and-rescue, partner him with a Labrador Retriever. Using dogs in your story can reflect the traits of your heroes and heroines, and even villains. The variety of dog breeds makes is possible to cast whatever type of character your story demands: a noble German Shepherd, an elegant Standard Poodle, a playful Jack Russell Terrier, an agile Border Collie. If you’ve never considered adding a four-legged friend to your cast of characters, maybe you’ll find a reason here. 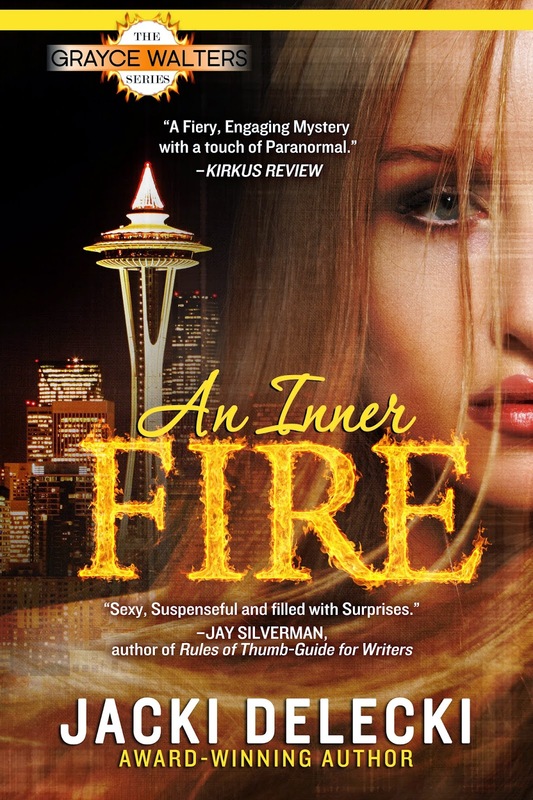 Jacki Delecki’s contemporary romantic suspense series includes AN INNER FIRE and WOMEN UNDER FIRE. Both are available on Amazon. Descended from a long line of storytellers, Jacki spins adventures filled with mystery, healing and romance. Jacki’s love affair with the arts began at a young age and inspired her to train as a jazz singer and dancer. She has performed many acting roles with Seattle Opera Company and Pacific Northwest Ballet. Her travels to London and Paris ignited a deep-seated passion to write the Regency Code Breaker Series. Jacki is certain she spent at least one lifetime dancing in the Moulin Rouge. Jacki has set her Grayce Walters Mystery Series in Seattle, her long-time home. The city’s unique and colorful locations are a backdrop for her thrilling romantic suspense. Although writing now fills much of her day, she continues to volunteer for Seattle’s Ballet and Opera Companies and leads children’s tours of Pike Street Market. 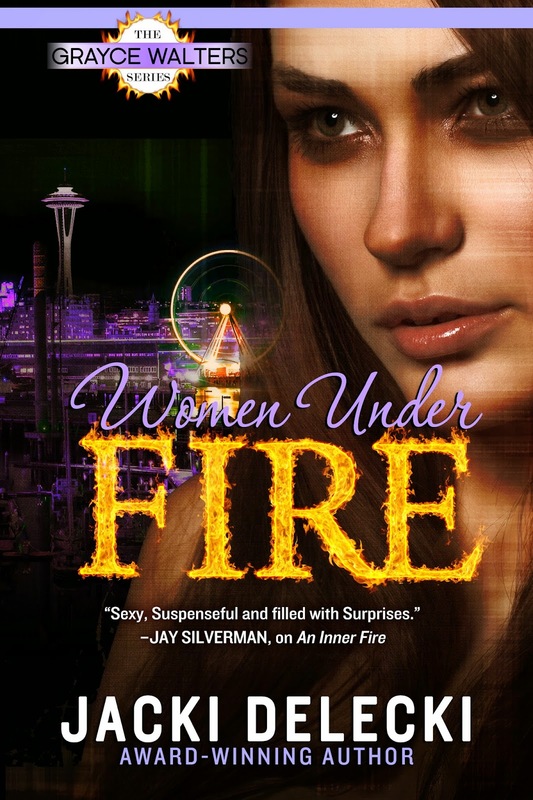 Her volunteer work with Seattle’s homeless shelters influenced one of her main characters in An Inner Fire and Women Under Fire. 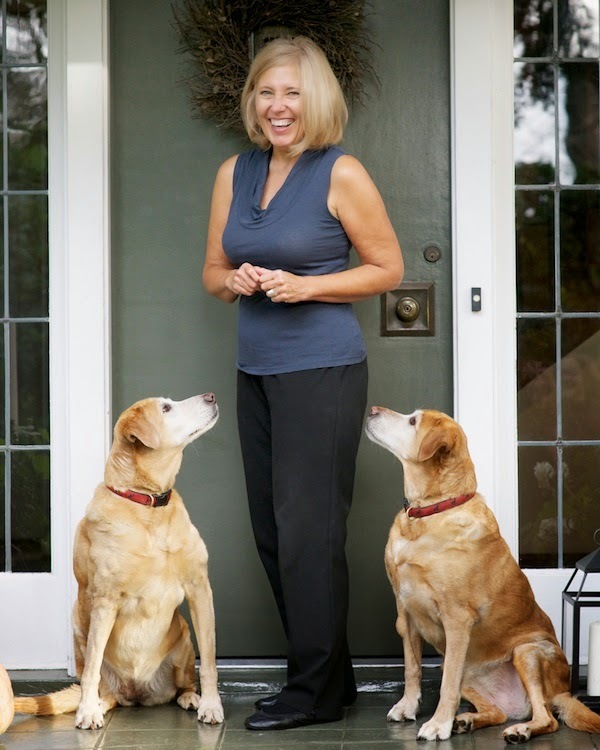 Jacki’s two Golden Labs, Gus and Talley, were her constant companions. Their years of devotion and intuition inspired her to write dogs as main characters alongside her strong heroines. A geek at heart, Jacki loves superhero movies—a hero’s battle against insurmountable odds. But her heroines don’t have to wear a unitard to fight injustice and battle for the underdog. Look for more heart-pounding adventure, intrigue, and romance in Jacki’s Code Breakers Series. A Code of Love is the first book in the series. A Christmas Code—A Regency Novella, is now available at all retail sites. A Code of the Heart will be released on Valentine’s Day 2015. To learn more about Jacki and her books and to be the first to hear about contests and giveaways join her newsletter found on her website: www.jackidelecki.com. Follow her on Facebook—Jacki Delecki; Twitter @jackidelecki. I love animals in books! Do you have any favorite authors who include animals in their books? How about animals of your own? Oh I am such a fan of animals in books... they add so much more! I'm with you totally. My character Mitzi in the Grayce Walter series is based on my childhood French Poodle. It was so great to touch into memories of my own dog! Thanks for commenting.